Please be advised that the Restricted Burning Period for the Shire of Goomalling has been EXTENDED FURTHER to Monday 22 April 2019 (inclusive), to include the Easter weekend. The unrestricted period will thus commence on Tuesday 23 April. Burning Permits for broadacre crop preparation can be obtained from the Shire Office. Please note that under the permit conditions burning will be prohibited over the entire Easter weekend from Good Friday to Easter Monday (incl). The Shire of Goomalling also wishes to remind that permit holders must comply with all conditions of the permit - this includes notification to DFES prior to lighting and prior notification to neighbouring landholders as required under Regulation 15B of the Bush Fires Act. Centrally located commercial property available for lease; rent is negotiable. 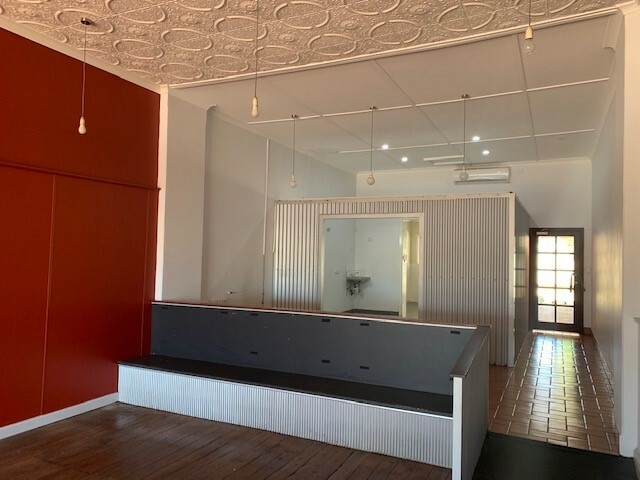 For more information, applications or proposals please contact our property management officer Jo Bywaters via property@goomalling.wa.gov.au or at the Shire office on (08) 9629 1101 during opening hours. Council was granted $108,500 under the Australian Government’s Safer Communities Fund Round 3 Infrastructure Grants to install 19 solar LED security lights and 14 CCTV cameras to pathways, buildings and carparks within the recreation hub precinct. The multipurpose precinct is the nucleus of the community and a venue for civic activity, structured and unstructured recreation and is a potential target for opportunistic crime. Council has developed this project to mitigate the risk of crime-related incidents, increase visibility and enhance the sense of security at the recreation hub. You may be eligible to be enrolled to vote in the upcoming in-person Local Government elections on 19 October 2019 if you live in or are an owner or occupier of rateable property in the district of the Shire of Goomalling. Enrolment claim forms can be obtained from the Shire Office or Australian Electoral Commission Offices and should be lodged with Peter Bentley, Chief Executive Officer by 4.00pm on Friday 30 August 2019. If you registered for the 2017 elections or since that time you do not need to register. Did you know that people in Goomalling are struggling to feed their families due to escalating food prices, and a lack of transportation to access affordable food? Shire of Goomalling will be collecting donations for distribution within the community for families in need. Suggested food items: cruskits, rice cakes, noodles, pasta, rice, long life milk, powdered milk, tea & coffee, tinned vegetables, tinned fish, tinned fruit, baked beans, tinned spaghetti, breakfast cereal, tinned soup, biscuits, etc. For more information or if you need urgent access to food please contact Tahnee Bird, Community Development Officer, Shire of Goomalling on (08) 9629 1101. Let's help those in need! Farm firefighting units form an important part of the Shire’s overall bushfire response. To assist authorities identify vehicles which can assist DFES in bushfire response, DFES and the Shire encourage owners of such vehicles or machinery to apply for a Fire Response Vehicle Identifier windscreen sticker. During bushfire events the Shire works with Police and Main Roads to manage or restrict traffic into affected areas. The presence of a Vehicle Identifier Sticker will help in quickly identifying vehicles and machinery which may be permitted on the fire ground. Eligible vehicles include farm firefighting appliances, bulk water trucks and earth moving machinery. Application forms are available from the Shire Administration office or are downloadable here. Multiple stickers may be issued to persons with multiple suitable vehicles/equipment – one application form per vehicle is required. Owners must have read and understood the “Operating Private Equipment at Bushfires” publication and will make drivers of the vehicle familiar with this document. To find out what is currently happening in the Shire of Goomalling, check out the latest news feed.